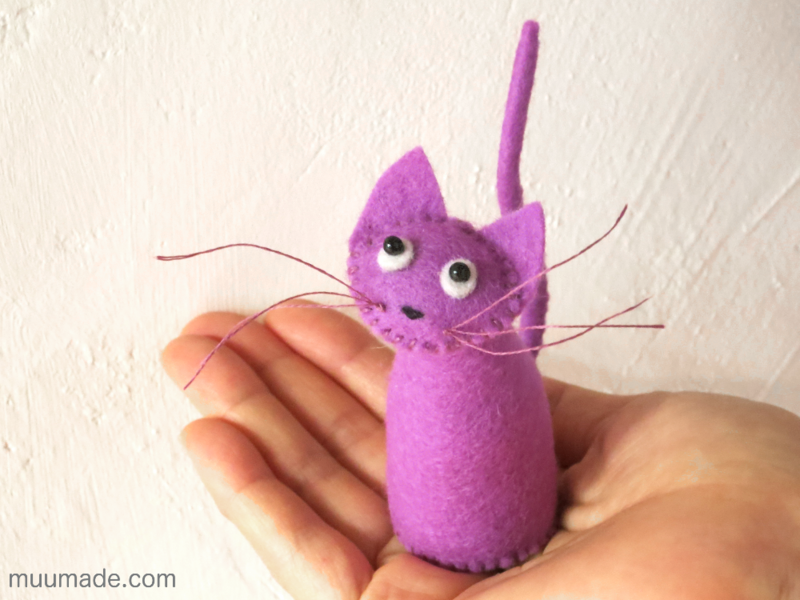 The Simply Simple Cat is an easy-to-make sewing pattern that is beginner friendly. 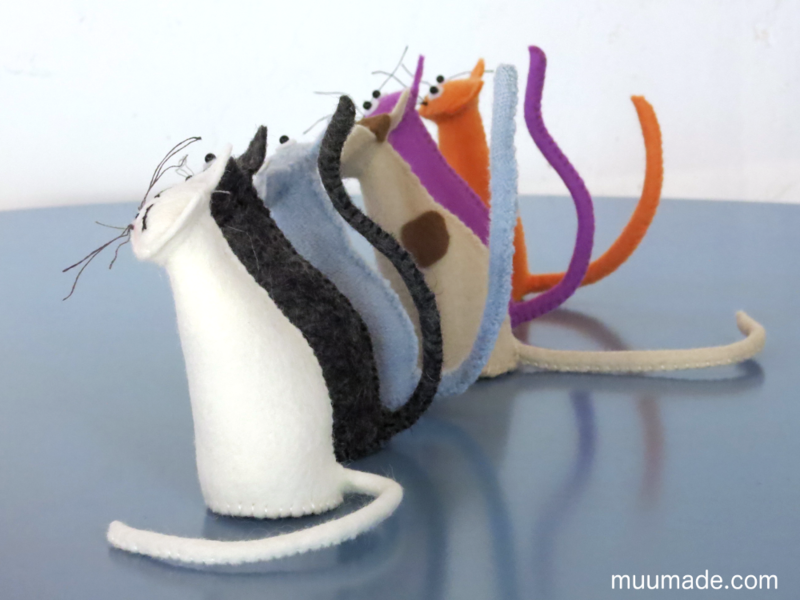 In fact, this project only involves using the Whip Stitch, which is a very easy stitch to learn. As you can see in the photo above, the Simply Simple Cat is a small adorable ornament, measuring approximately 9 cm (3 1/2″) in height. Its head is slightly tilted, and I think that the way it looks up at you is really cute. 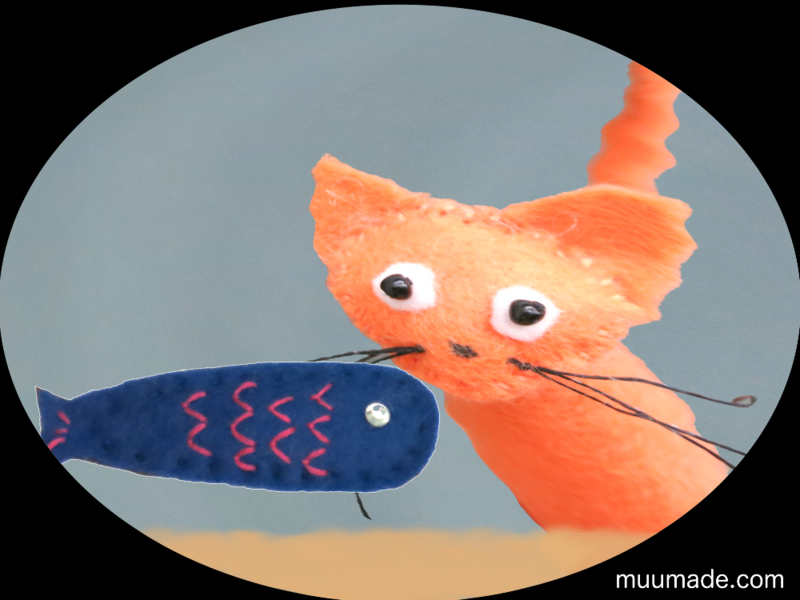 The cat’s tail contains a craft pipe cleaner, and so it can be shaped in any way you wish! 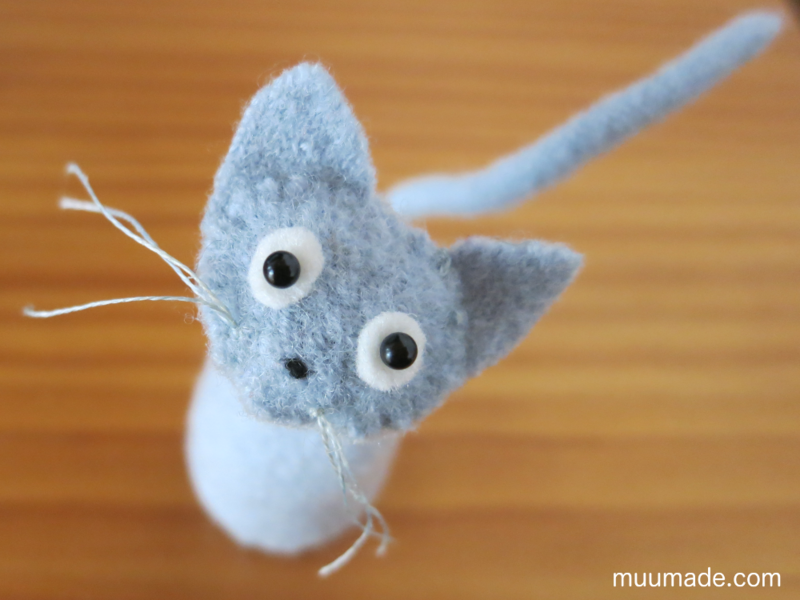 The pale blue cat in the last photo is made from an old wool sweater, which I upcycled as felt. You can “full” wool sweaters into felt by washing them in hot water. I usually full old knitwear in my washer by setting it to HOT and running it through a normal wash cycle with a bit of detergent. 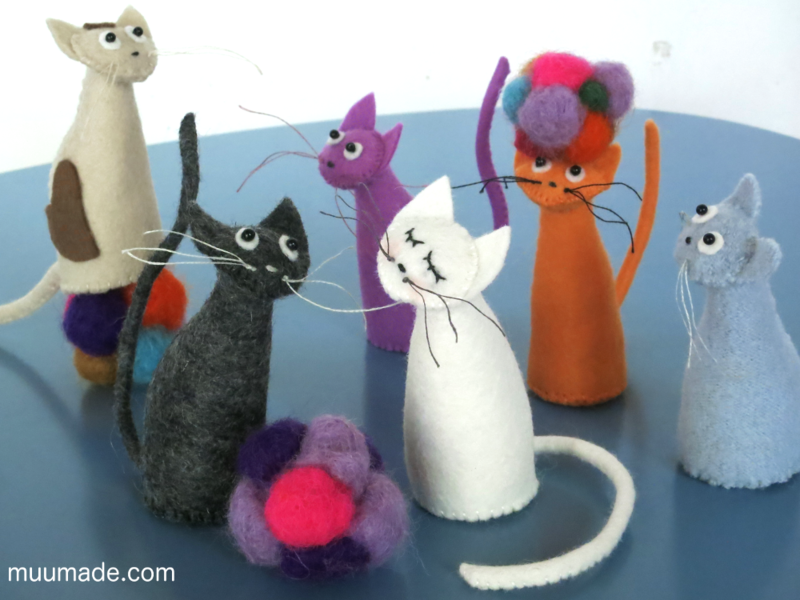 But, if you would like a more controlled way of fulling knitwear into felt, you can shrink it by hand. The technique you use does not matter as long as the wool is sufficiently shrunk so that it will not fray when cut.